Given its strategic location in the West Indian Ocean, its political stability and the legal and administrative framework in place, Seychelles is no doubt the ideal investment destination for serious investors. There are a lot of investment opportunities in a wide range of sectors such as tourism, industry, agriculture, fishing and fish processing, IT, telecoms, general services and financial services respectively. The Seychelles government through its new investment framework is doing its utmost to encourage more investments into the country by safeguarding the interests and the rights of potential investors. Apart from streamlining down the procedures for doing business in Seychelles, the government has also ensured that proper legislation and guidelines are enacted to create equal opportunities for all investors. To make an investment in Seychelles an easier choice and to help ensure that the investor generates the maximum possible yield on that investment, the Government of Seychelles has introduced a range of legislative measures offering concessions to businesses operating in various sectors of the economy. Under the provisions of the Tourism Incentives Act and Agriculture and Fisheries Act, concessions are granted on Business Tax, Withholding Tax on royalties, GST, Trade Tax and tax relating to the employment of foreign labor. The Government has also been actively cutting away at the country’s Trade Tax rates (customs duty), with the result that, on all but a handful of revenue sensitive items, it now stands on 0%. Seychelles stated investment policy aim is “to maintain and improve the standard of living of the Seychellois citizens by creating the economic conducive to increased wealth generation by private businesses and individuals.” In order to achieve this, the country has committed itself to supporting an investment friendly climate that guarantees that Seychellois citizens and overseas investments will complement each other and foster appropriate linkages with all sectors of the economy. And while the country’s investment policies encourage the exploitation of Seychelles’ natural resources, the improvement of national infrastructure and an increase in productivity levels, it also stresses the paramount importance of achieving this in an environmentally sound and sustainable manner. 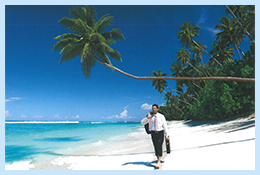 Tourism is the mainstay of the Seychelles economy, accounting for over 20% of the GDP and employing 19% of the country’s workforce. 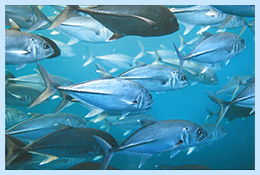 From industrial canning and dedicated prawn farming, to sashimi grade tuna and the best red snapper in the world, Seychelles’ fishing sector offers unparalleled opportunities to invest in high quality fisheries products. Aquaculture: prawns, sea cucumber, etc. The steep, wooded mountains of Seychelles’ inner islands provide limited scope for large scale agricultural practices, but local farmers have learnt how to make the best of the country’s long hours of sunshine and plentiful rainfall to grow a wide variety of both tropical and more traditional fruits and vegetables. 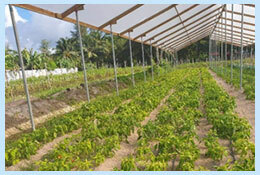 In order to meet their client’s demands for a ready supply of high quality, fresh fruit and vegetables, a number of privately owned island resorts have invested heavily in agricultural projects on the islands, with some of the best results achieved using low-input, high-yielding hydroponics techniques. 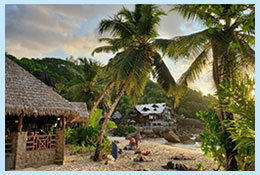 Seychelles’ year round sunshine makes it an ideal location for the development of solar energy projects and the many islands offer wide scope for tidal, wind and other renewable energy projects to be carried out. Local industries and consumers in general are being constantly encouraged to embrace energy conservation measures in order to reduce consumption of energy nationality. 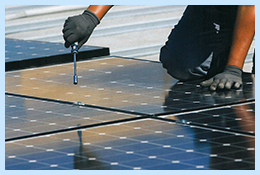 Businesses are encouraged to introduce systems that make use of other energy sources such as solar of photovoltaic to generate electricity or as part of their energy conservation measures. 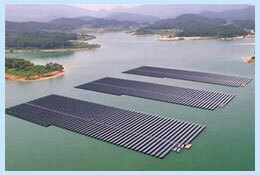 On a number of the country’s outer islands, resort owners and environmentalists are pioneering sustainable energy sources, most notably the use of solar energy. The interest in the use of same in households and local industries are on the rise, which creates the opportunity in the local assembly of these energy-friendly appliances. Limited natural resources and labor supply have curtailed the development of a significant manufacturing base in Seychelles, but certain segments have exploited reliable niche markets both in Seychelles and internationally. The Seychelles Industrial sector presents many challenges to our local entrepreneurs. Its existence is still quite recent but there has been considerable progress made, given that a few decades ago this sector did not exist. Opportunities exist in waste recycling projects (waste management), energy related projects (such as assembly of solar water heaters) and export oriented manufacturing activities. Strong western influences through travel, television and the internet are driving demand for consumer goods and modern lifestyles. 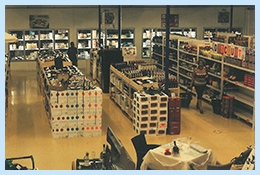 To support this growing demand, the country will require a range of new shops, specialists and service providers. Moreover, international companies are encouraged to make use of Seychelles strategic location and stable political environment for the sites of their Head Offices especially if they have interest in the Eastern/Southern African states or in the Indian Ocean region. 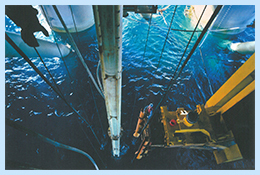 Seychelles vast Exclusive Economic Zone (EEZ), which encompasses 1.4 million km2 of the Western Indian Ocean, is being increasingly viewed as a potential source for as yet unexploited oil reserves. Initial exploration in some areas has already begun, and there is potential for further exploration in other as yet unexamined areas. The acreage being prospected for oil is 21,426 km2 and an additional 205,000 km2 is still available for prospecting. In addition, Seychelles presently owns and operates five double hull oil tankers transporting, oil to and from countries all over the world. 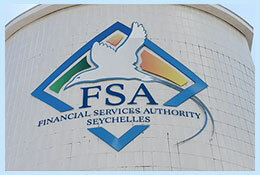 Seychelles first recognized the potential revenue-generating capabilities of off-shore financial services in the early 1990’s but the industry only began to take off in the early years of the following decade. Today the industry is rapidly becoming a third pillar (alongside tourism and fisheries) to the country’s economy. 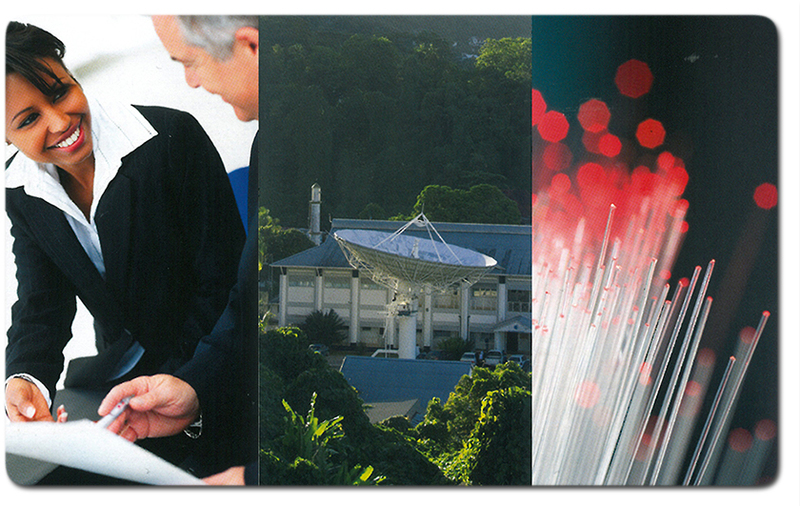 Part of the reason for its success has been the stringency of the industry regulating International Corporate Services Act, which ensures that all service providers in Seychelles adhere to strict professional standards and are subject to a high level of due diligence prior to the issuance and renewal of a license. 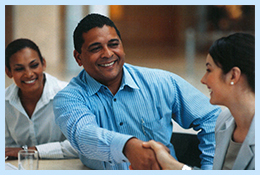 The Seychelles International Business Authority (SIBA) is responsible for licensing and regulating primarily offshore activities and business services and is the registrar for international business companies and trusts and regulates International Trade Zone activities where licensed companies perform businesses geared predominantly towards an export market. Together with its local and international partners, SIBA is expending considerable resources in the continuous development of local professionals in order to maintain high levels of service delivery and continue to attract legitimate international business activity. There are various other opportunities exist under the SITZ.